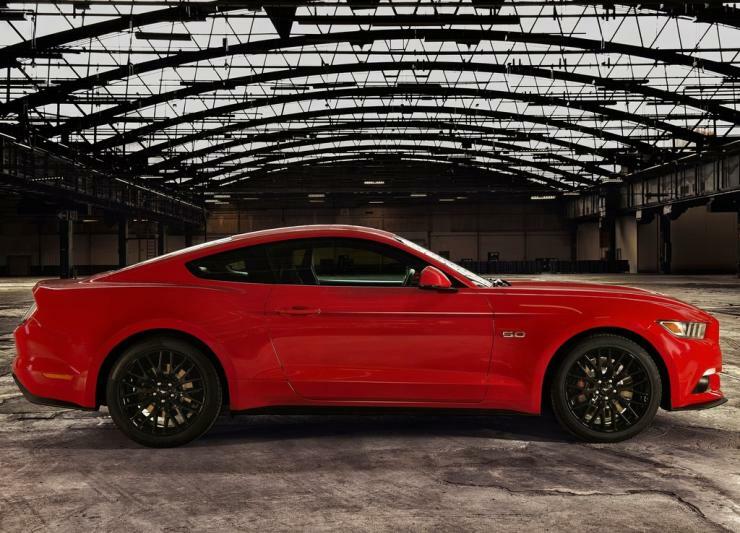 Ford has begun importing the Mustang muscle car into India. The first batch of India-spec have already arrived at Ford’s Sanand factory in Gujarat. 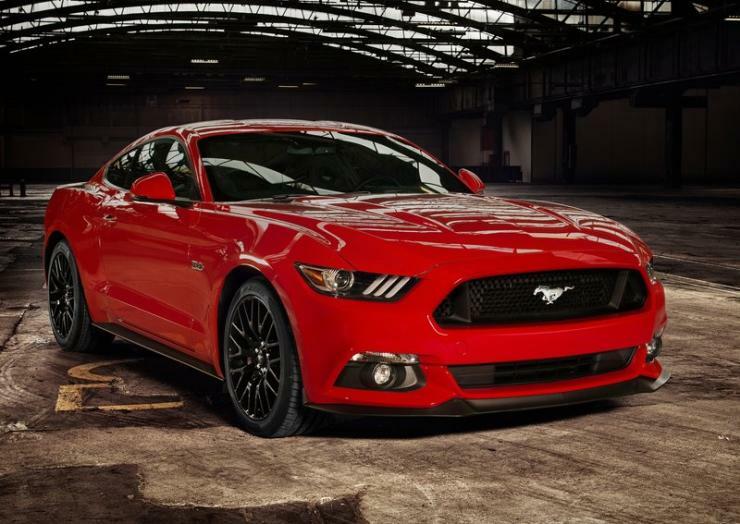 The car that will be sold here will feature a 5.0 liter V8 Ti-VCT petrol engine, which is the top-of-the-line motor available for the Mustang globally. This motor will be in a different state of tune for the Indian market though. While it makes 435 Bhp-542 Nm on the US-spec variants, it’ll lose about 37 Bhp on the Indian variant, to put out about 398 horses. Torque goes down by 27 Nm. 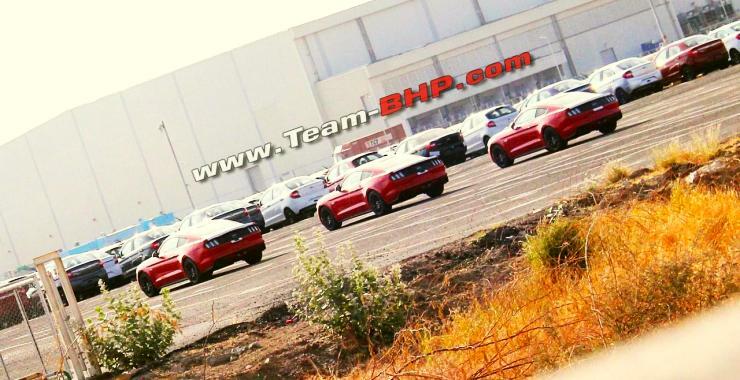 Also, the 6 speed manual gearbox, which is standard on the US-spec Mustang, will not be offered on the Indian variant. We’ll get the 6 speed SelectShift automatic transmission, powering the rear wheels of the muscle car. The version sold here with be the right hand driven Euro-spec model. Other omissions include the tri-bar daytime running lights, bonnet vents and red taillights with sequential turn indicators. While the import price of the Mustang has been listed at about 20 lakh rupees, expect to pay about 70-75 lakh rupees at least, factoring for the hefty import duty and other charges that apply to a car brought into India through the completely-built-unit (CBU) route. The Mustang will be Ford’s biggest launch of the year. It’s expected to go on sale in the next couple of months, to coincide with the Indian festive season. The car will be sold through most Ford dealerships across the country, and will serve as the American automaker’s brand builder. 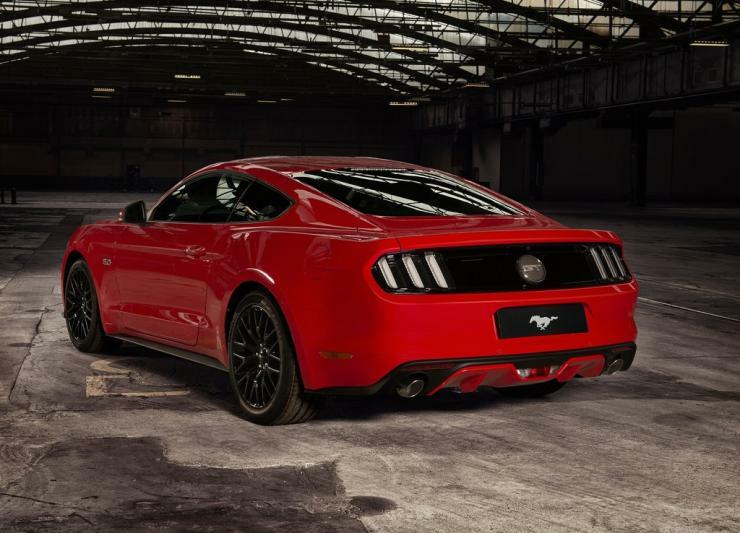 The Mustang will also be India’s first ever muscle-car sold through a manufacturer’s dealerships.